Are you a creative person or do you want to get in touch with your own creativity? Do you feel jitters to begin your own creative journey, but do not know where, or how to start? If you are ready to get in touch with your true self, and to translate this into your art and into your life. Or if you want to create art in a way that is close to you and expresses your soul, this workshop is for you. This is a workshop on self-discovery, intuition and the creation of abstract art that expresses you. This day we will revitalise your art practice. Add more depth, expansion, energy and life to your art. 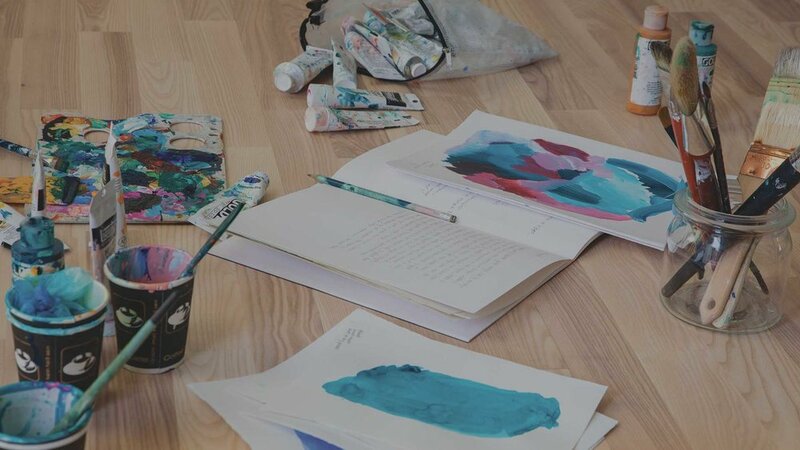 We take the first steps in a creative exercise to make you feel more free.